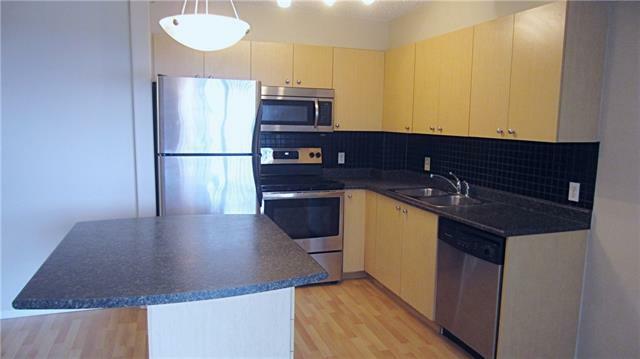 AMAZING PRICE for this 1-bedroom, west end downtown condo just steps to the LRT station. This unit is located on the 14th floor. 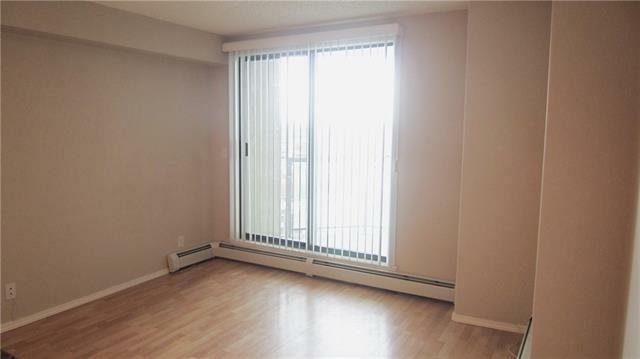 This is a bright unit with stainless steel appliances, laminate floors, fresh paint and a new bathroom vanity. The spacious family room overlooks the west-facing balcony with BBQ gas line. The bedroom is large enough for a bed and even a small desk and has a good sized closet. 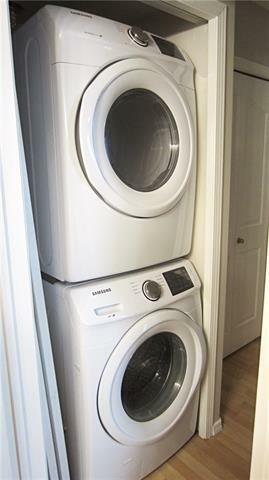 Newer high efficiency washer and dryer comes included. Nothing to do but move in and enjoy your new home. The titled underground parking stall is located close to the elevator. The building has great amenities with gym, bike storage and concierge. 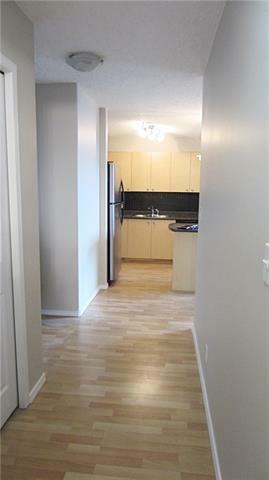 Condo fees include all utilities (except phone & cable). Add this condo to your must-see list!